Looking For Repair or Installation of Security Lighting in Athens? Homes and businesses in the region benefit from security lighting in Athens, Georgia. Meehan Electrical Services has been helping customers create higher levels of security in Athens since 1960 by installing top quality security lighting systems. 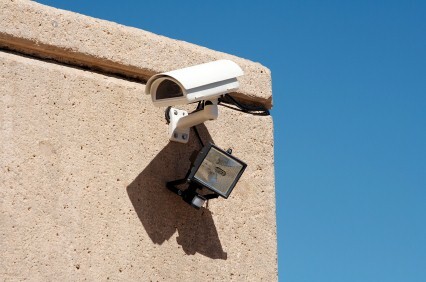 Athens residents desire peace of mind and security lighting helps to maintain that level of safety. Meehan Electrical Services provides exceptional service designed to take Athens customers through the entire process of choosing, installing and servicing security and motion lights. Combined with alarms and other elements of a top-notch security system, Athens security lighting installed by Meehan Electrical Services creates invaluable peace of mind. Meehan Electrical Services recommends products from leading manufacturers, offering high quality security lighting fixtures, wiring and mounting hardware for Athens residential and commercial clients. Whether you need pole lighting or pathway lights for your Athens property, or exit signage and emergency lighting for an Athens warehouse, Meehan Electrical Services offers the best products available. No matter how large or small your Athens security lighting project, you can count on competitive prices from Meehan Electrical Services. Serving Athens since 1960, we aim to help our Athens customers control costs while achieving the level of security they desire. High quality materials, professional design and expert installation, combined with competitive rates, make Meehan Electrical Services the leading choice for security lighting in Athens, Georgia. Call (706) 717-4947 today to arrange for a free estimate.